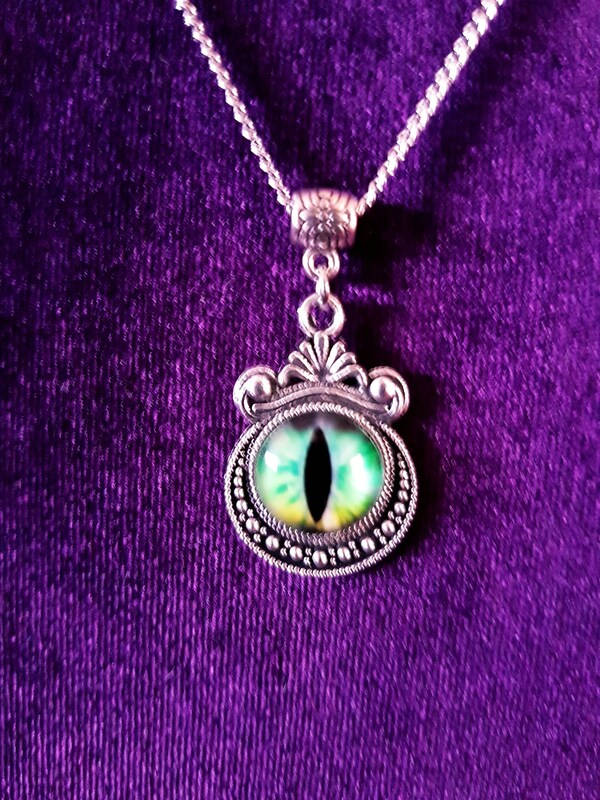 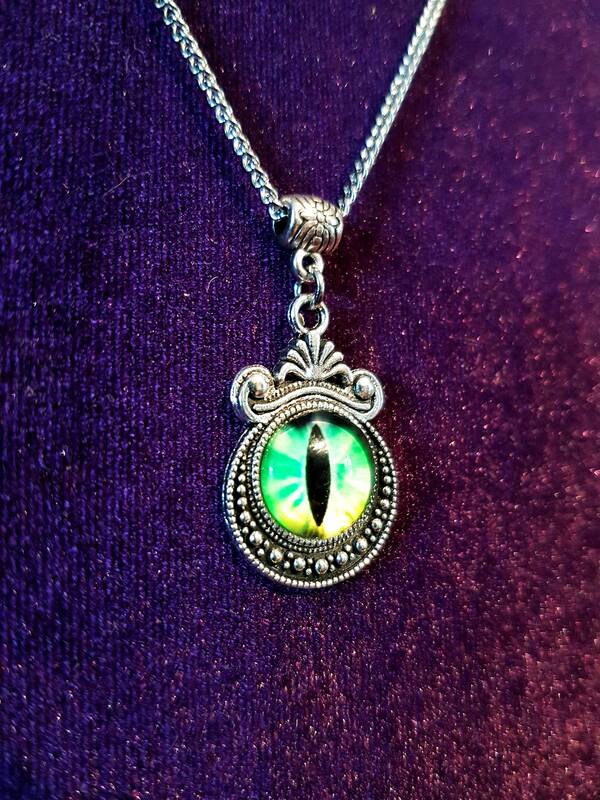 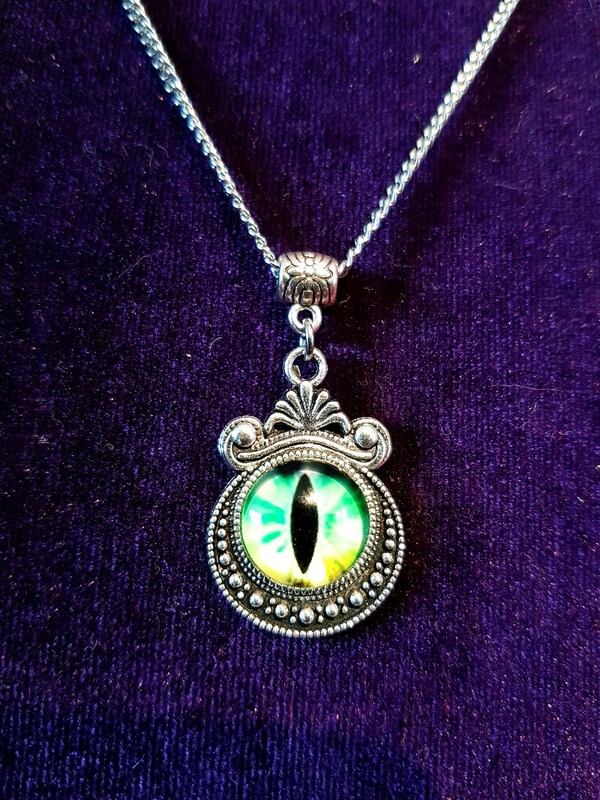 Eye of the Draco Pendant. 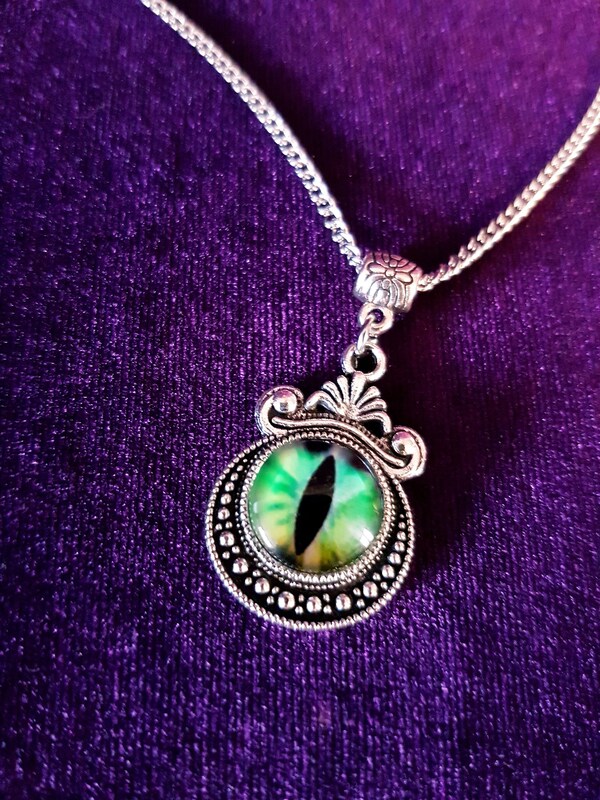 Small Discrete Green Draconian Eye. 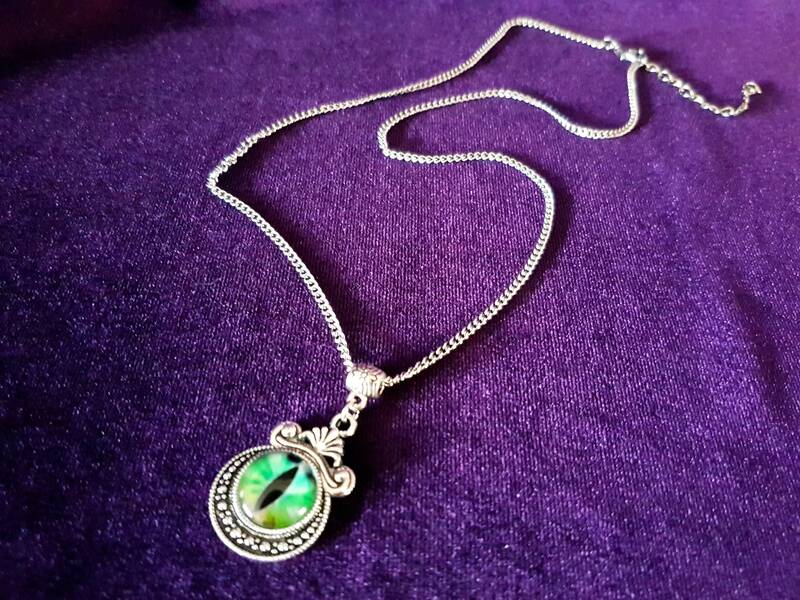 - 45cm long chain + 5cm extension chain.